Pencil sketching technique is a lot different than using pen and ink. Every wiggle of the pen must be worked in to the drawing, even if the movement is unanticipated. But false moves with a pencil are not that drastic. They can be blended with a stump or even (perish the thought) erased. Here is ‘The Couple’ complete with blended stray marks. 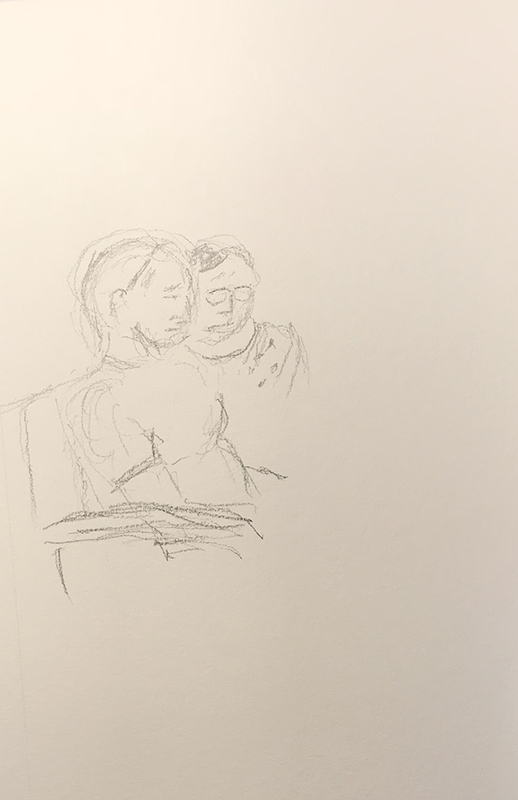 This entry was posted in Personal Stories and tagged 15 minute sketch, artistic process, creative process, creativity, double portrait, pen and ink, pencil sketch, portraiture, sketch, visual art. Bookmark the permalink. You caught a lot of emotion here!